Air Force sergeant Michael Baldwin wanted nothing more than to escape his family’s political ambitions, but his dream of freedom was shattered by an enemy bullet to the head. 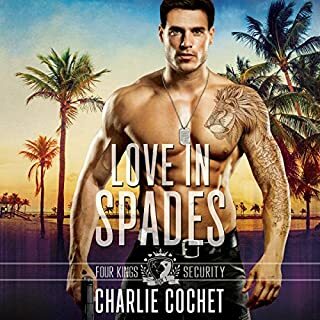 Two years later, he and his service dog Kaylee resist his father’s demand to join him on the campaign trail - where a photogenic “wounded warrior” is always an asset - and instead return to the family’s summer home on Hartsbridge Island. There Michael and his beautiful German shepherd capture the attention of Josh Goldberg, co-owner of the local bagel shop. Josh has a knack for business and a killer repertoire of his bubbe’s recipes. On the surface Adrian has it all: He’s the owner of the Nine - the only source of nightlife in Montana Beach - and he has his boyfriend Malcolm. The only problem is: Malcolm’s married. Although he promises to leave his wife, Adrian still wonders if he’ll always be “the other lover”, and whether that’s enough for him. Tyler has watched his best friend pursue his relationship with a married man knowing that it won’t end well. He knows that he could treat Adrian better, but he’s never expressed his feelings to anyone, let alone Adrian. After Adrian and Tyler share a special evening together, Tyler sees a future for them, but Adrian is still loyal to Malcolm. 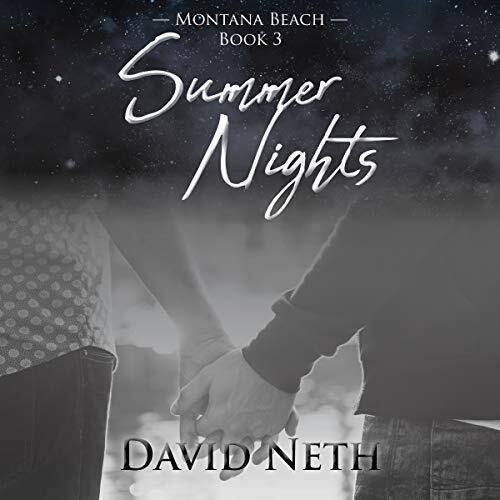 Summer nights, the third book in the Montana Beach series let's us get to know Adrian, the owner of the local nightclub, Nine. We have seen him in the first two books, but this one really gives us a good look at him. Adrian is in a relationship with a married man. Malcolm appears to have feelings for the much younger man, but there as I listened, I had that feeling of dread. He was being used. Tyler, Adrian's best friend is always looking out for him, and when things unexpectedly take a turn in the relationship, Adrian is forced to look at his life, his relationship with Malcolm and where things may go with Tyler. I really enjoyed this story. It also flows concurrently with the first two in the series, so we get to meld the novellas together as they go on. More importantly, I loved how David Neth gave Adrian the chance to learn and grow. We could feel him come to realize where his life should go, what he is worth and how to get what he wants. I also loved the strength of Tyler. His feelings for Adrian were strong, and regardless of the situation, I knew that he would be there for him no matter what. Friendship, love and sense of community, this series has been a joy to listen to. Adam Riley narrates this novella beautifully. This is my first book I have heard by him, and I found his voices to be perfect for the characters. He has a smooth texture and uses his emotional inflections at the right times to make us feel what Adrian, Malcolm and Tyler were feeling. I really enjoyed his performance. This is such a sweet romance. 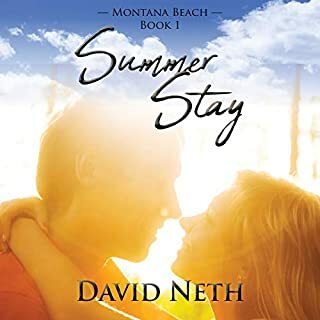 I enjoyed listening to this tale from Montana Beach series. Sometimes the one you're suppose to be with is right in front of you. Adrian really learns and grows throughout this story and bless Tyler and his patience. The narration is wonderfully done. Adam Riley does great with the voices and emotions. He really helps bring this story to life for the listener. A lovely addition to the series. This is the third book in the Montana Beach Series, and this was my favorite story in the Series. I loved Adrian and Tyler's story and I loved to see again the other characters in the Series. The narration was well done. Adam Riley has a really great voice, easy to understand. I received this free review copy audiobook at my request and I have voluntarily left this review. This has to be my favorite out of the three in this Summer series. Adrian and Tyler seem to really hit it off, but there is Malcolm, Adrian's boyfriend. Malcolm keeps breaking the one promise that Adrian hopes will be kept. Tyler swoops in and is an instant hero. The dynamics between Adrian and Tyler are so strong and so sweet, you cannot help but to love them. There is a tenderness that Adrian and Tyler share. It will sweep up up and capture your heart. This is a feel good romance with a few twists and turns to keep you on your toes. Adam Riley narrates this story with ease. Mr Riley is able to keep each character's tone different and made the story easy to follow. Mr Riley created a movie in my mind with his narration and I got completely lost in the book. Adam Riley narrated with such emotion that you could feel each character's heartaches and joys. This was a perfect way to end the series. 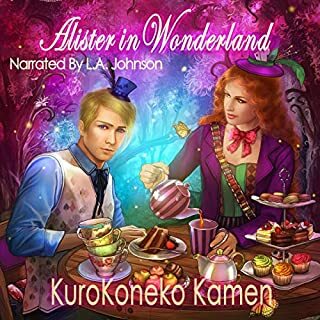 I received this audiobook free for an honest review. Too bad I didn't look at the write up of the story before I asked for it. Not my "cup of tea". However, I did listen to it to give it a fair chance. I though the story was good, if you are in to a 3-man relationship conflict. Married boyfriend vs coworker. The narrator did a good job with the characters. I prefer the other two books in this series. the best of the three. I really liked this book. the didn't fall in love in 2 seconds but instead it seemed very natural. this was my favorite of the Montana beach books. Narrator does a good job distinguishing between voices and putting just enough emotion into it. 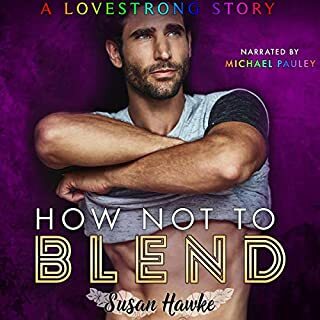 Although the characters are gay, the relationships and relationship issues in the story are relatable for anyone who is in or has ever been in a romantic relationship. This was a great quick read that was fairly well written with a good underlying message. It was sooooooo satisfying when Adrian finally confronts Malcolm about what he really wants and deserves in a relationship and subsequently tells him to hit the road. I received a free copy and have voluntarily left my honest and unbiased review.